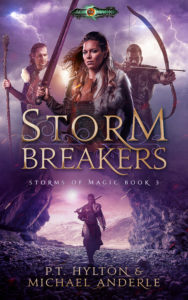 Storm Breakers is out now! Abbey and her friends travel across the sea in search of Syd’s brother, a sailor captured by a warlord years ago. To find him, they’ll need the help of their greatest enemy, the Storm Caller Dahlia. What Abbey doesn’t know is that the leader of the rebels is the very man they came to rescue.